The Soviet Union successfully launched Sputnik 1, the world's first artificial satellite, on October 4, 1957, surprising the world and starting the space race. The 183-pound (83-kilogram) spacecraft whipped around the Earth every 98 minutes, transmitting a series of beeps. 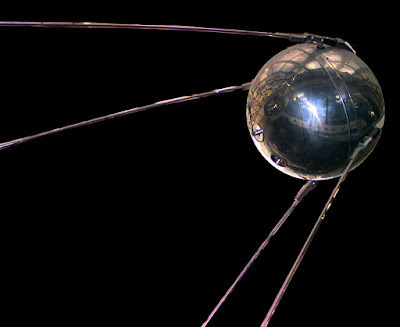 Sputnik means "companion" in Russian................................Visit Page.